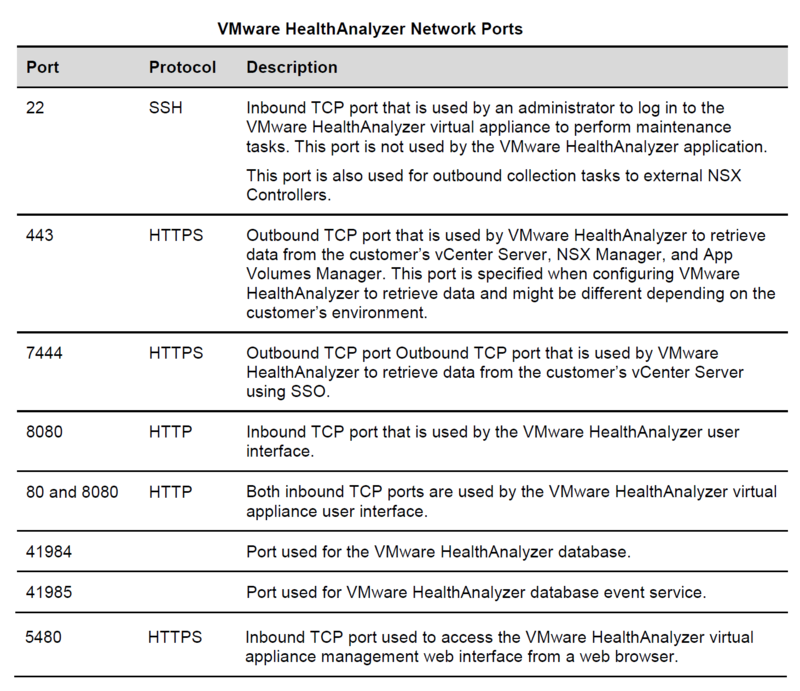 I’m trying to re-collect some of the health check tools to validate the health of the VMware Infrastructure including SDN which is VMware HealthAnalyzer 5.3.1, VMware HealthAnalyzer automates the collection and analysis of VMware Horizon, VMware vSphere, and VMware NSX for vSphere inventory, including configuration and utilization data. VMware HealthAnalyzer Collector gathers View and vSphere inventory data from the systems in your environment. You can then export the data and send it to VMware or a VMware partner for analysis. vSphere – Data can be collected from a specified VMware vCenter Server and other systems within the vSphere infrastructure. Horizon – Data for analysis of desktop systems can be captured from a View Connection Server, App Volumes Manager and all of the systems with related data within the vSphere infrastructure. 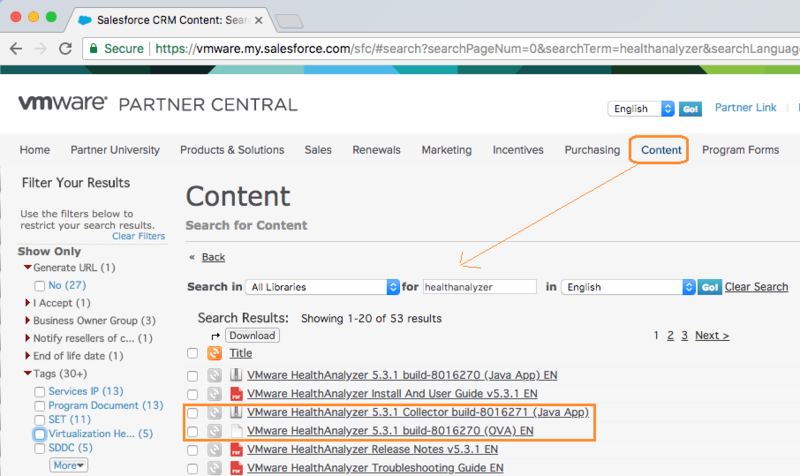 NSX for vSphere – Data can be collected from VMware NSX Manager (standalone or Cross-vCenter Server setup) and VMware NSX Controller instances. A project with data can be exported to a file, or a previously captured project with data can be imported. A report in Microsoft Word format can be created for review and delivery to a customer. • Address Meltdown and Spectre vulnerabilities. • Update JRE in OVA to 1.8.0_162. • Add best practice identifier in the Microsoft Word report that can be used to cross reference corresponding content on UI. • Add infrastructure qualities for all the best practices in vSphere and NSX reports. • Update Firewall and Guest OS mappings for vSphere 6.5 U1 based best practices. • Analyze vSphere SEC-024 best practice – Configure Encrypted vMotion if the organization policy requires it. • Update severity based on threshold alerts for NSX-DLR-009 and NSX-ESG-010 best practices. • Remove best practices with grade “Not Applicable” and “No Data” from Export All Data output. • A new extension “.vha” for exported projects. • Recommend solution when an error occurs during collection/analysis stages. • Warn user when multiple Primary NSX managers are involved in the same collection for NSX project. • Reduce OVA size for both Collector and Full versions. I have been tasked to use to use Health Analyzer for a large client of mine. I have installed the appliance in my home lad environment and tested it. Do you have any suggestions on how to present the output report in the most professional way. There is a lot of data, can I filer per priority? It’s a while to use this tool but found another blogger mentioned about reports.